1858 autoportrait of Adrien Tournachon, half-brother of Nadar. 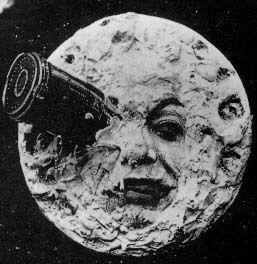 The first public screenings of films at which admission was charged were made in 1895 by the American Woodville Latham and his sons, using films produced by their company, and by the – arguably better known – French brothers Auguste and Louis Lumière with ten of their own productions. Private screenings had preceded these by several months, with Latham's slightly predating the Lumière brothers'. Another opinion is that the first public exhibition of projected motion pictures in America was at Brooklyn Institute in New York City 9 May 1893. In the early 1950s, the proliferation of black-and-white television started seriously depressing North American theater attendance. In an attempt to lure audiences back into theaters, bigger screens were installed, widescreen processes, polarized 3D projection, and stereophonic sound were introduced, and more films were made in color, which soon became the rule rather than the exception. Some important mainstream Hollywood films were still being made in black-and-white as late as the mid-1960s, but they marked the end of an era. Color television receivers had been available in the US since the mid-1950s, but at first, they were very expensive and few broadcasts were in color. During the 1960s, prices gradually came down, color broadcasts became common, and sales boomed. The overwhelming public verdict in favor of color was clear. After the final flurry of black-and-white films had been released in mid-decade, all Hollywood studio productions were filmed in color, with rare exceptions reluctantly made only at the insistence of "star" directors such as Peter Bogdanovich and Martin Scorsese. "Film theory" seeks to develop concise and systematic concepts that apply to the study of film as art. The concept of film as an art-form began with Ricciotto Canudo's The Birth of the Sixth Art. Formalist film theory, led by Rudolf Arnheim, Béla Balázs, and Siegfried Kracauer, emphasized how film differed from reality and thus could be considered a valid fine art. André Bazin reacted against this theory by arguing that film's artistic essence lay in its ability to mechanically reproduce reality, not in its differences from reality, and this gave rise to realist theory. More recent analysis spurred by Jacques Lacan's psychoanalysis and Ferdinand de Saussure's semiotics among other things has given rise to psychoanalytic film theory, structuralist film theory, feminist film theory, and others. On the other hand, critics from the analytical philosophy tradition, influenced by Wittgenstein, try to clarify misconceptions used in theoretical studies and produce analysis of a film's vocabulary and its link to a form of life. Film stock consists of transparent celluloid, acetate, or polyester base coated with an emulsion containing light-sensitive chemicals. Cellulose nitrate was the first type of film base used to record motion pictures, but due to its flammability was eventually replaced by safer materials. Stock widths and the film format for images on the reel have had a rich history, though most large commercial films are still shot on (and distributed to theaters) as 35 mm prints. 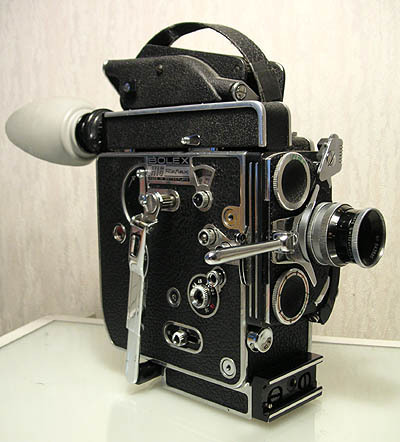 Originally moving picture film was shot and projected at various speeds using hand-cranked cameras and projectors; though 1000 frames per minute (16⅔ frame/s) is generally cited as a standard silent speed, research indicates most films were shot between 16 frame/s and 23 frame/s and projected from 18 frame/s on up (often reels included instructions on how fast each scene should be shown). When sound film was introduced in the late 1920s, a constant speed was required for the sound head. 24 frames per second were chosen because it was the slowest (and thus cheapest) speed which allowed for sufficient sound quality. Improvements since the late 19th century include the mechanization of cameras – allowing them to record at a consistent speed, quiet camera design – allowing sound recorded on-set to be usable without requiring large "blimps" to encase the camera, the invention of more sophisticated filmstocks and lenses, allowing directors to film in increasingly dim conditions, and the development of synchronized sound, allowing sound to be recorded at exactly the same speed as its corresponding action. The soundtrack can be recorded separately from shooting the film, but for live-action pictures, many parts of the soundtrack are usually recorded simultaneously. 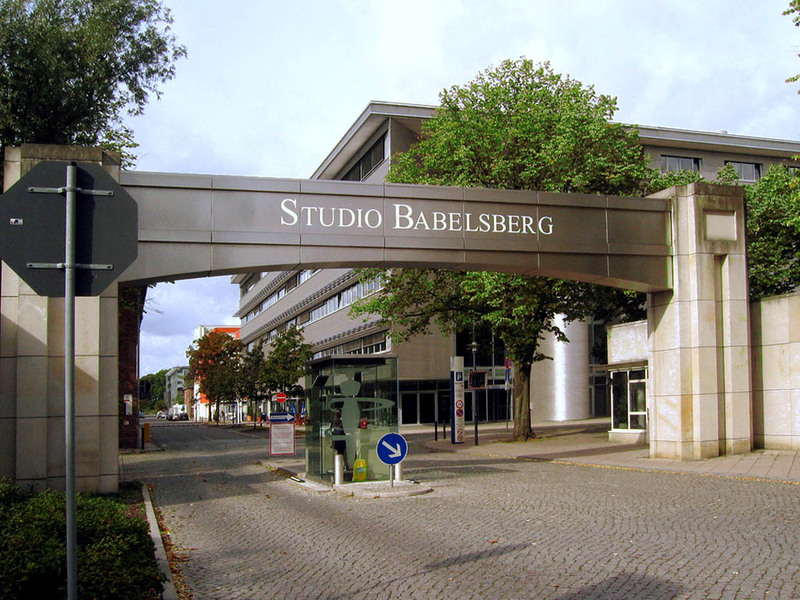 Some films in recent decades have been recorded using analog video technology similar to that used in television production. Modern digital video cameras and digital projectors are gaining ground as well. These approaches are preferred by some film-makers, especially because footage shot with digital cinema can be evaluated and edited with non-linear editing systems (NLE) without waiting for the film stock to be processed. The migration was gradual, and as of 2005, most major motion pictures were still shot on film. ^ Severny, Andrei (2013-09-05). "The Movie Theater of the Future Will Be In Your Mind". Tribeca. Archived from the original on September 7, 2013. https://web.archive.org/web/20130907214603/http://tribecafilm.com/future-of-film/future-of-the-movie-theater-is-in-your-mind. Retrieved September 5, 2013. ^ (1989) "Phantasmagorical Wonders: The Magic Lantern Ghost Show in Nineteenth-Century America". Film History 3 (2): 73–86. ^ Nelmes, Jill (2004). An introduction to film studies (3rd ed., Reprinted. ed.). London: Routledge. p. 394. ISBN 978-0-415-26269-9. https://books.google.com/?id=jcCADouuE_UC&pg=PA394&dq=film+montage#v=onepage&q=montage&f=false. ^ Bollywood Hots Up Script error cnn.com. Retrieved June 23, 2007. ^ Christopherson, Susan (2013-03-01). "Hollywood in decline? US film and television producers beyond the era of fiscal crisis" (in en). Cambridge Journal of Regions, Economy and Society 6 (1): 141–157. DOI:10.1093/cjres/rss024. ISSN 1752-1378. ^ "British English/American English Vocabulary". Archived from the original on 21 June 2013. https://www.englishclub.com/vocabulary/british-american.htm. Retrieved 26 June 2013. ^ a b "British English vs. U.S. English – film vs. movie". Straight Dope Message Board. Archived from the original on 10 January 2014. http://boards.straightdope.com/sdmb/showthread.php?t=363802. Retrieved 26 June 2013. ^ "Movie Terminology Glossary: W". IMDB. Archived from the original on 2010-07-22. https://www.imdb.com/glossary/W. ^ "Movie Terminology Glossary: F". IMDB. Archived from the original on 2010-07-22. https://www.imdb.com/glossary/F. ^ "'First Blood' Turns 30: Rambo's original dark end". Yahoo! Movies. 22 October 2012. Archived from the original on 17 November 2016. https://www.yahoo.com/movies/bp/first-blood-turns-30-rambo-original-dark-end-174610790.html. ^ "AWFJ Opinion Poll: All About Movie Trailers". AWFJ. 2008-05-09. Archived from the original on 2013-12-03. http://awfj.org/2008/05/07/awfj-opinion-poll-all-about-movie-trailers/. ^ "Silent Film Speed". Cinemaweb.com. 1911-12-02. Archived from the original on April 7, 2007. https://web.archive.org/web/20070407224839/http://www.cinemaweb.com/silentfilm/bookshelf/18_car_1.htm. Retrieved 2010-11-25. ^ Amdur, Meredith (2003-11-16). "Sharing Pix is Risky Business". Variety. Archived from the original on September 15, 2007. http://www.variety.com/index.asp?layout=print_story&articleid=VR1117895718&categoryid=10. Retrieved June 23, 2007. ^ Savage, Mark (2006-12-19). "Hanna Barbera's golden age of animation". BBC News. Archived from the original on 2006-12-19. https://web.archive.org/web/20061219211006/http://news.bbc.co.uk/1/hi/entertainment/6193603.stm. Retrieved 2007-01-25. Basten, Fred E. (writer); Peter Jones (director and writer); Angela Lansbury (narrator). Glorious Technicolor [Documentary]. Turner Classic Movies. Schultz, John (writer and director); James Earl Jones (narrator). The Making of 'Jurassic Park' [Documentary]. Amblin Entertainment.